Interested in a 3v3 Tournament? Below are the Rules and Wavier sheets that are required to play in any Generation U Tournament. 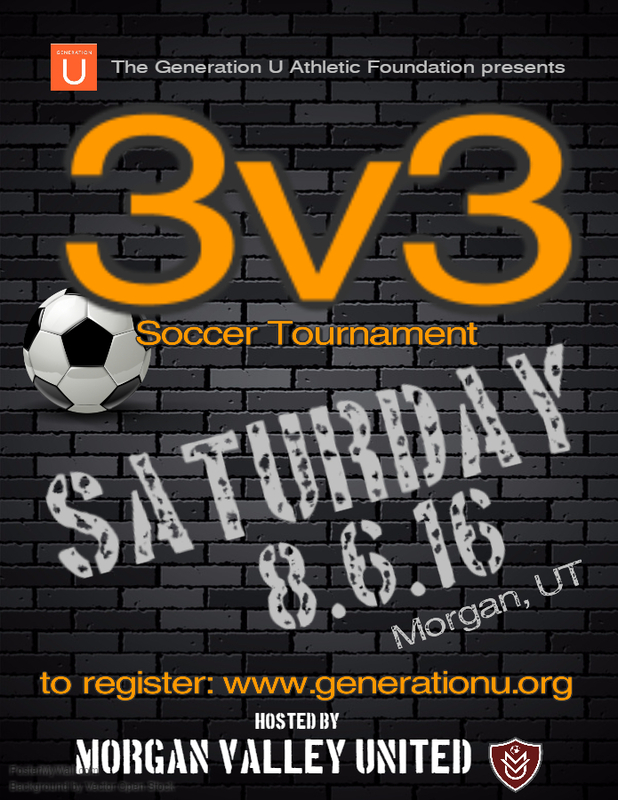 CLICK HERE FOR THE SCHEDULE FOR THE MORGAN 3V3 SOCCER TOURNAMENT. PLEASE ARRIVE EARLY! SESSIONS WILL START PROMPTLY AT TIMES LISTED! Get your team together for the Summer 3v3 Soccer Tournament! This event is hosted by Morgan Valley United Soccer Club.